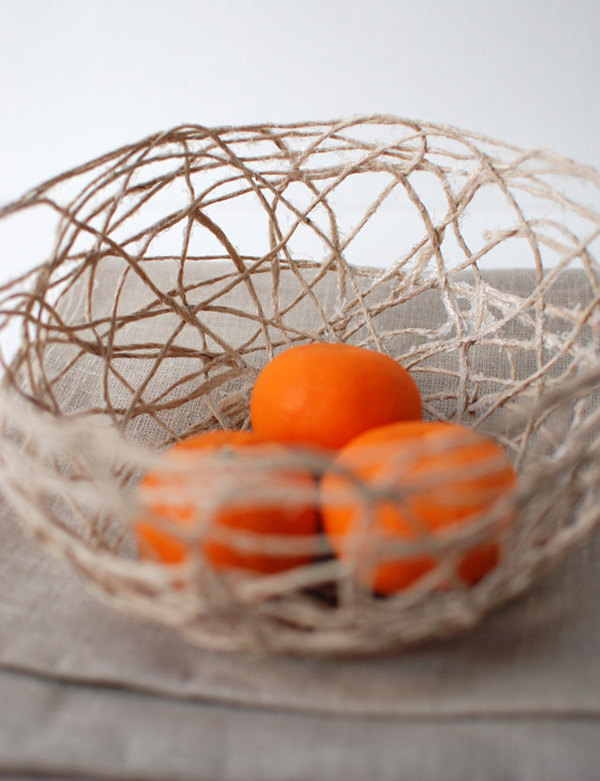 In this tutorial you'll learn how to make a sculptural string bowl for your home. This is the kind of satisfying DIY project that is not only extremely straight-forward to make, it also only requires just a few basic supplies. And the end result is nothing short of hand-crafted heaven! Let's get started. 250ml bottle of fabric stiffener. Small bowl for fabric stiffener. Large bowl to use as a mould. 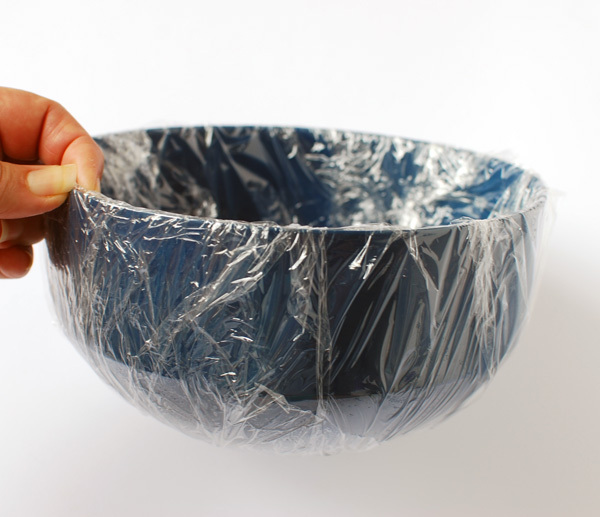 Cover the outside of your bowl with cling film, making sure the ends of the film wrap over into the inside of the bowl. Pour some fabric stiffener into the other bowl. Cut 12 lengths of string measuring about 110cm (42 in) each. 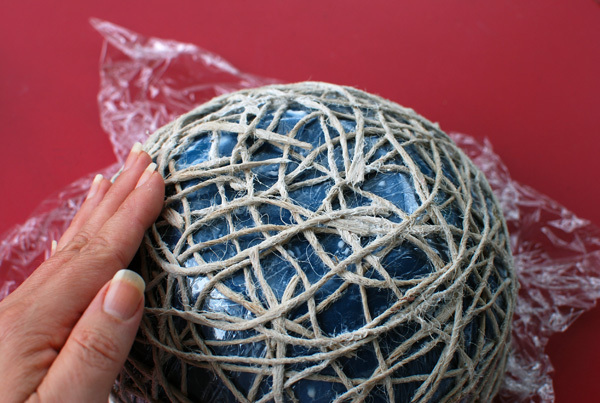 Wind the lengths of string around your fingers to form a neat roll. 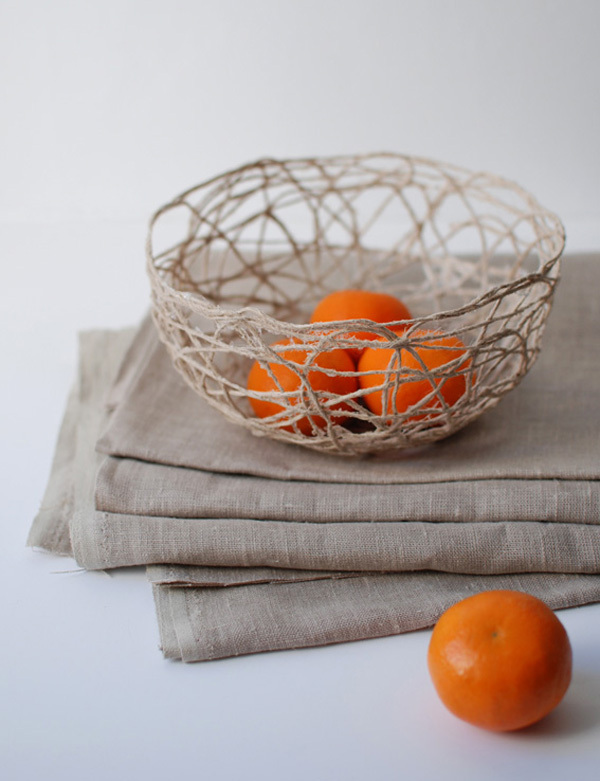 Place the string in the bowl with the fabric stiffener. 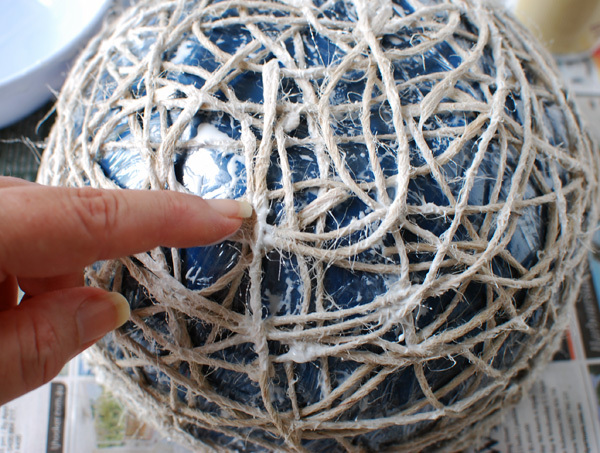 Push the string down into the fabric stiffener and pour more over the top so the string is covered. Knead the fabric stiffener into the string so it's completely soaked through. 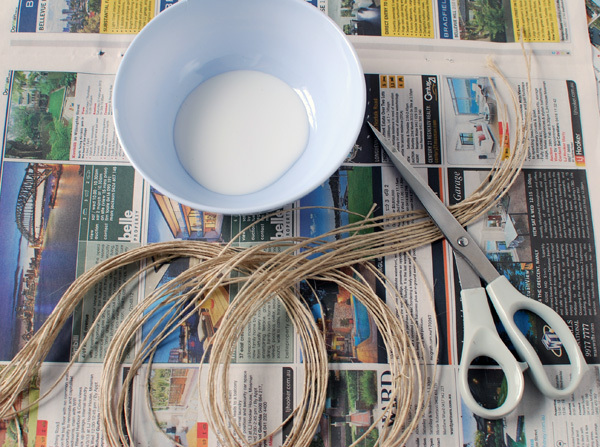 Start wrapping the string randomly around the bowl. For this bowl I wrapped the string over the bowl from one side to the other, rather than around and around. When the string reaches the rim just turn back creating a 'U' turn. 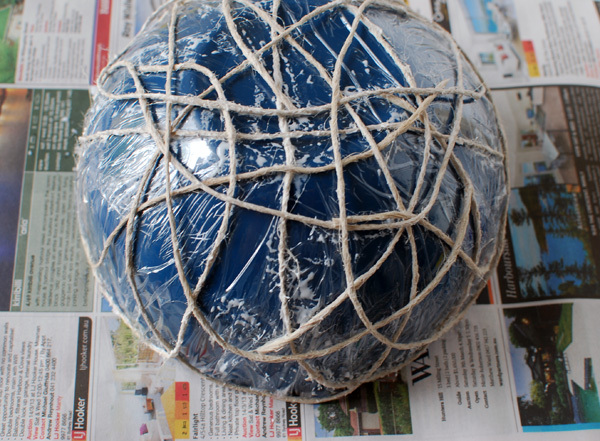 Keep adding new pieces of string, making sure the ends of each piece are towards the base of the bowl. 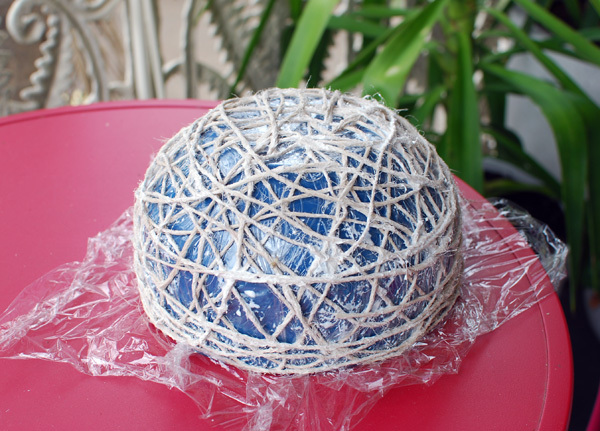 Use eight or nine pieces of string and the bowl should be pretty well covered. 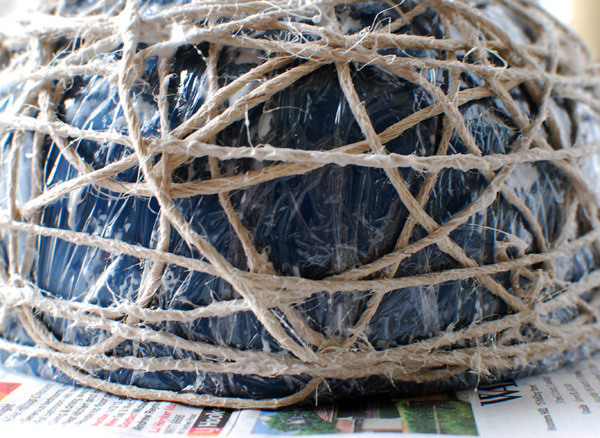 Wrap the remaining three or four pieces of string over the rest, going around and around the bowl in a spiral. Strengthen the overlapping string by dabbing more fabric stiffener on with your finger. There are a lot of overlapping areas, so do it methodically, making sure that the joins are wet with fabric stiffener and the string is pushed together. This step is very important as it ensures that your bowl will stay together. 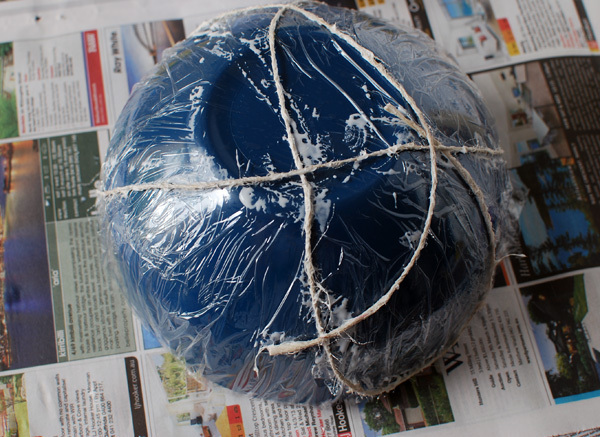 As the bowl starts to dry, press over the entire mould with your fingers and palms periodically. Start doing this when the string has dried out enough so that you don't get fabric stiffener all over your hands when you press on it. 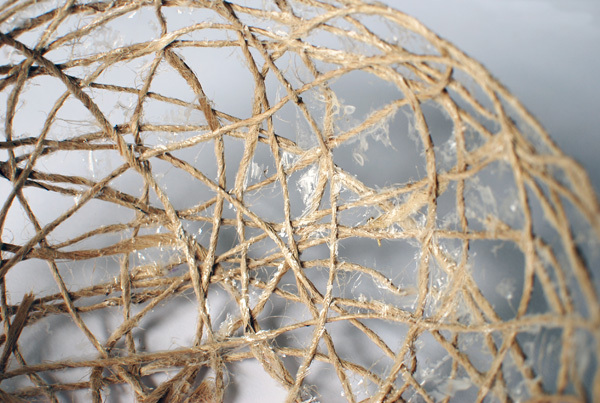 As the string dries out you can press harder and the form will become consolidated and strong. Allow the bowl to dry at least overnight. 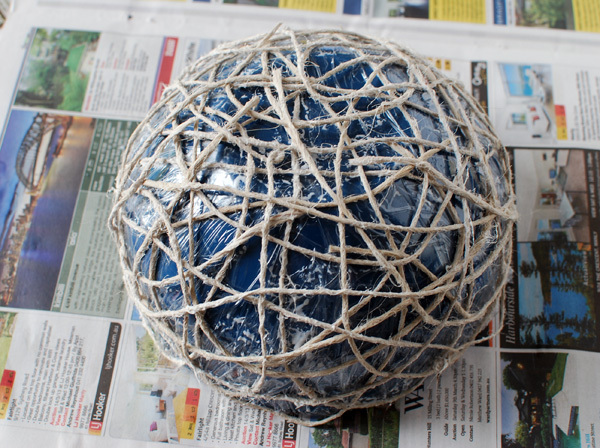 When the string feels dry, remove the bowl and the cling film. 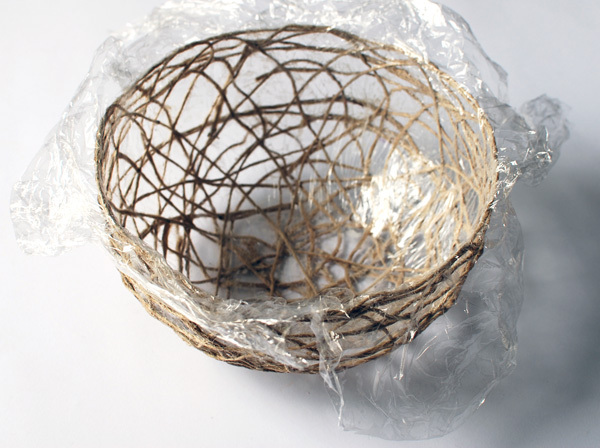 Your string bowl might feel a bit pliable, but it will continue to dry over the next day or so. Make sure you allow it to dry completely before putting anything in it. 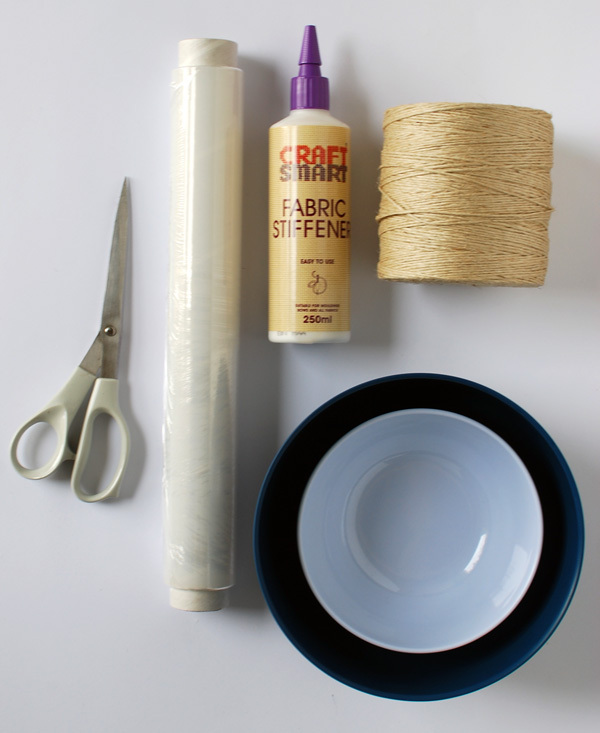 With a pair of scissors (or your fingernails), remove any dried pieces of fabric stiffener from between the string. This is slightly fussy and time-consuming but the end result is worth the effort. Once the bowl is completely dry and hard, it's ready to use. Well done, you've now made a totally unique and beautifully sculptural hand-crafted piece for your home. Fill your bowl with fruit, nuts, pods or even crafty supplies - just make sure not to overload it. You might like to make a set of three bowls in different sizes for a beautiful tableau display. 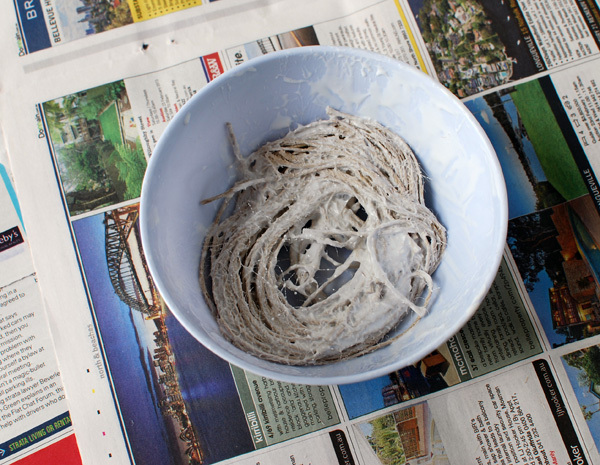 You could also try experimenting with the way you place your string, or you could also consider dip-dyeing the bottom of the bowls in white paint. We'd love to hear how you went with this tutorial. Did it work out the way you expected? 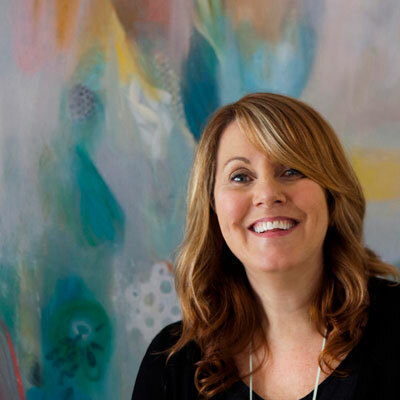 And how have you displayed it in your home? Tell us in the comments section below.